February is almost here and that means Trust Me will be released soon. 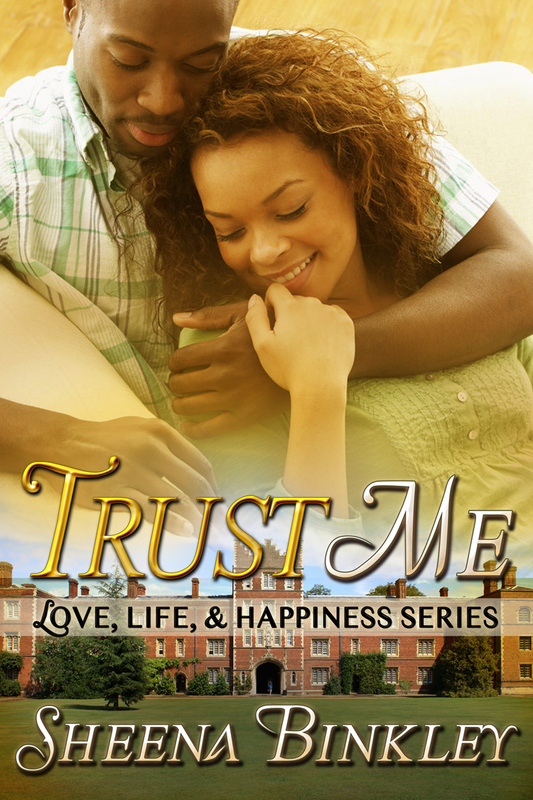 This is the second story in the Love, Life, & Happiness series. Falling in love is something I’d never imagined. I didn’t think love existed, mainly because of the way I was raised. Relationships were never in the cards, especially since I gave a chance on one, and it nearly destroyed me. When I met Marcus Walker, I was only looking for a fling, nothing more; but the more time I spent with him, the more I realized he could be so much more. Not only has he helped me through my family drama but also with a situation I thought was way behind me. Now, I understand what love is and how powerful it can be. But will I let myself be loved, or will I continue to believe that love is not for me? One thing I said I will never do in my life is fall in love. Being in love is great for some people, but not for me. That all changed when I met Cheryl Thompson. At first, I thought she would be like the rest, just a one-night stand, but when I saw what she was going through, I realized she was much more than a fling; she was someone I wanted to commit to. Will I be able to trust myself and give her what she needs, or will I end up destroying her even more? Special thanks to Tara from Fantasia Frog Designs for the AMAZING cover!! Also, make sure to voice your interest in reading the first chapter to Trust Me, by either leaving a response on this blog, sending a tweet or FB message, and I will be sure to post the first chapter before the release!